I always make quite a few cookies for various gatherings and cookie trays each holiday season, I was brainstorming ideas that are a bit more unique than chocolate chip or sugar cookies and can be prepared in the slow cooker. 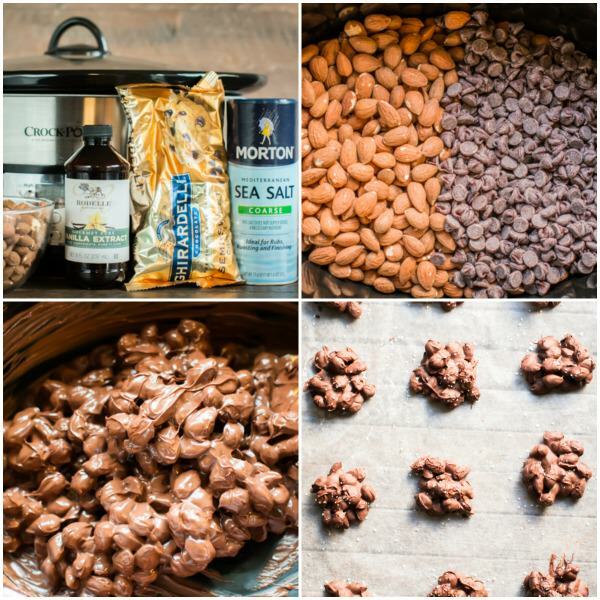 I decided to try these delicious Slow Cooker Sea Salt Chocolate Almond Clusters and even though they’re not technically cookies, they are so good! 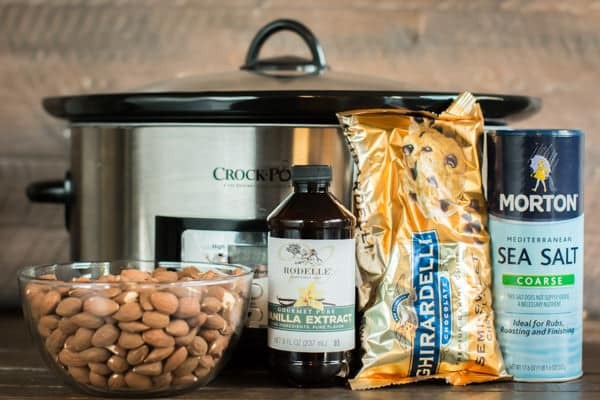 These are definitely the easiest “cookies” you will make this year – just warm- Ghirardelli semi-sweet chocolate chips, almonds and vanilla extract in a slow cooker. 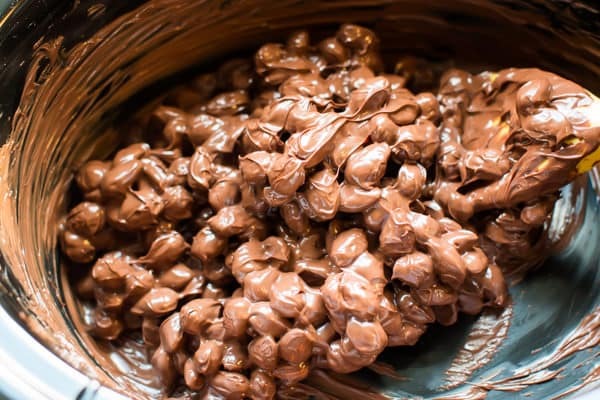 When it’s melted, scoop the chocolate out into clusters, top with coarse sea salt, and let them cool. See the beautiful melted texture of the chocolate below? If you walk away from this and forget it, and/or set to HIGH it will burn and not look like the photo below. 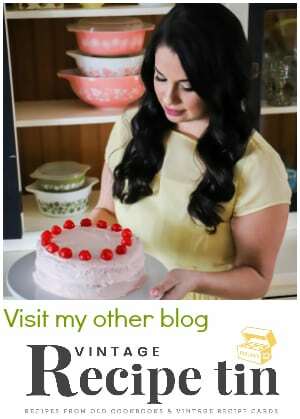 If you want a good laugh at my previous fail on this recipe look here. I thought I could set this and forget it, nope! Set a timer for sure. 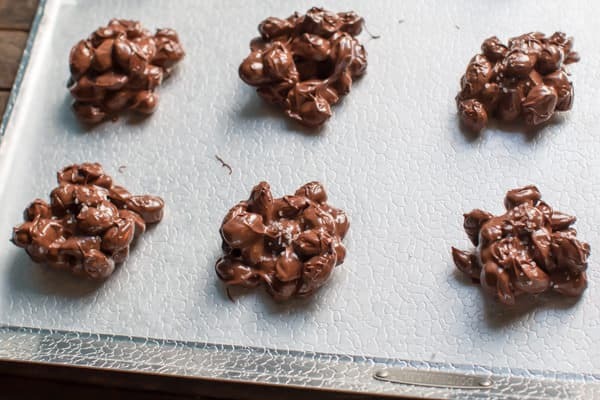 Even though they’re not technically cookies, these Sea Salt Chocolate Almond Clusters belong on every cookie tray and at every holiday gathering this year. 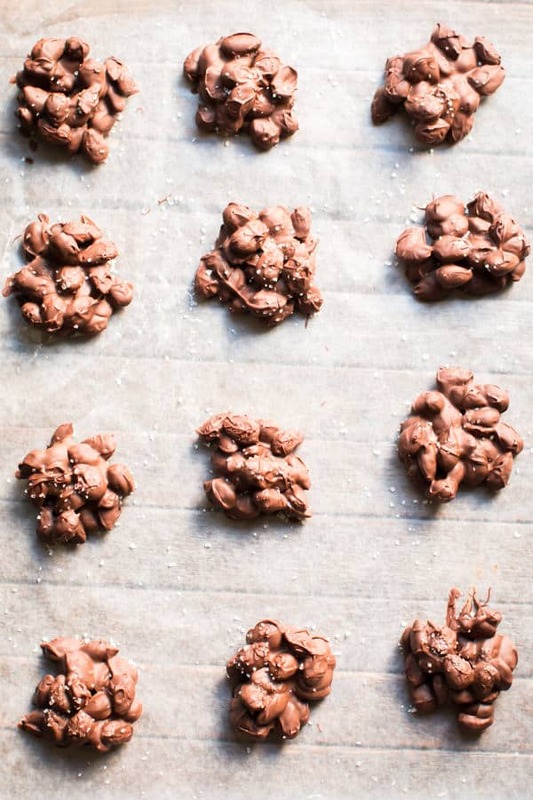 They’re so simple to make but taste like a treat from a chocolate shop. 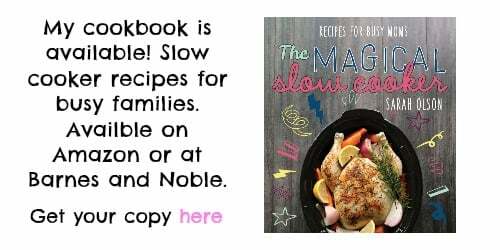 Set the slow cooker to LOW and cover. This will take only 30 minutes, BUT set a timer for every 10 minutes to stir. If you set to high and/or forget to stir, the chocolate will burn and get stiff, trust me I did this when I was testing this recipe. After the chocolate has melted and is smooth, scoop the chocolate and almonds out onto sheets of wax paper that are on cookie trays (I use a small ice-cream scoop). Sprinkle with the sea salt. I did just enough to decorate the cookies and give a salty contrast to the sweet chocolate. Place the trays in the fridge so the clusters set up. 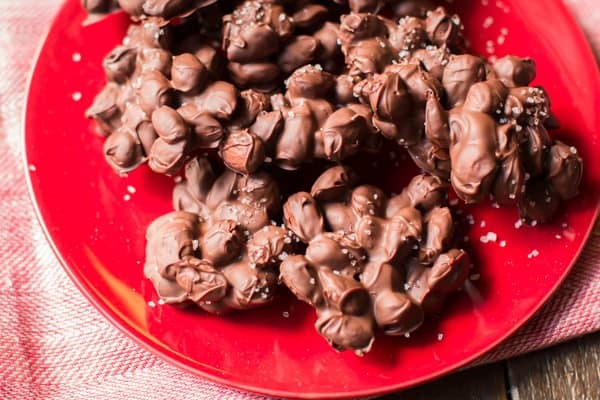 Serve at your holiday party or pack onto your cookie trays! This seems cool, and since 2 of my family can’t eat nuts anymore, I think I’ll try making them with oatmeal and raisins and choc chips too. Tx for a nice recipe! 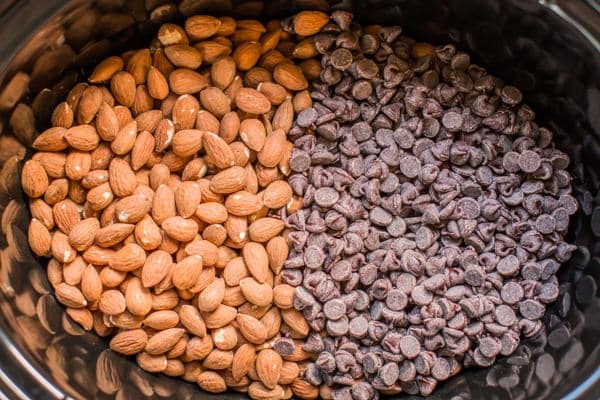 Can you substitute peanuts for almonds? Yes that would work good! 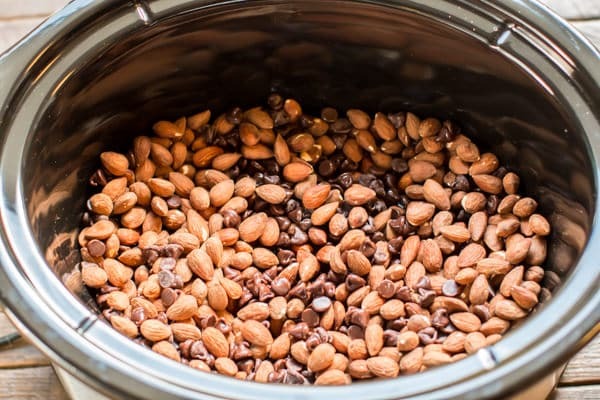 Could you use sugar free chocolate chips? These hardened back up fine for me. As long as your house isn’t too warm, I think they should be fine. Could you use dark chocolate chips? I’m unsure if dark chocolate is less sweet than semi sweet? But if that is what you like, it should do fine! 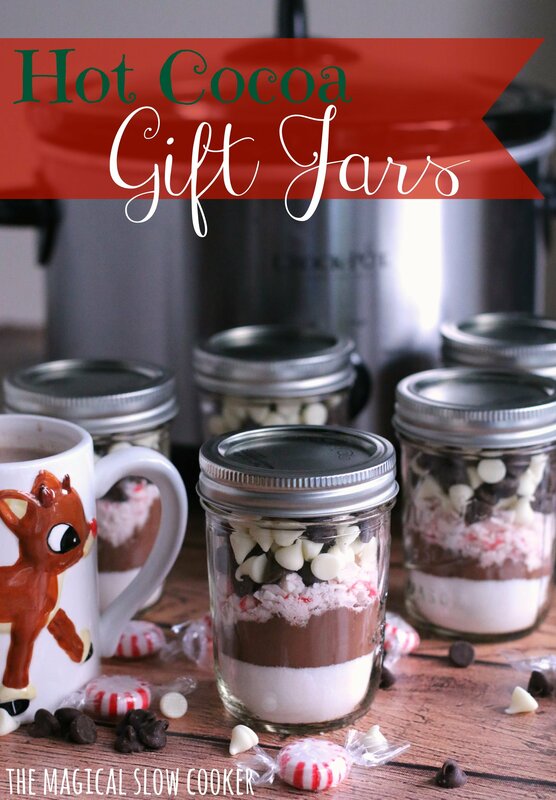 How long would these keep for if I make them to give out on Christmas? I think about a week. I think once they are set, they are fine on the counter. I’m having a hard time finding roasted, unsalted almonds. Would just plain salted be okay? 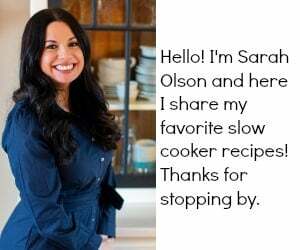 Hi Sarah, what about regular almonds, not roasted and not salted? If that is what you are used to, then that will be fine. I think it would be a little chewy though. 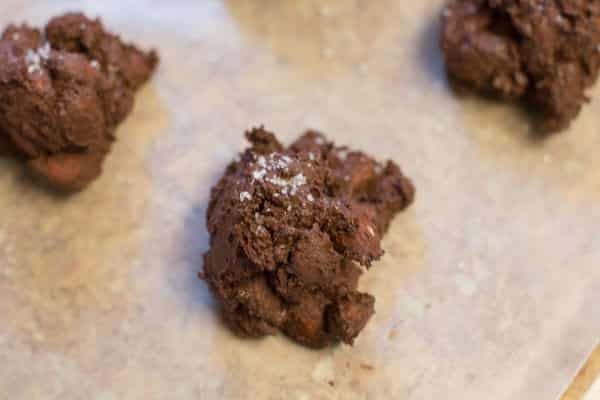 Have you made these without vanilla extract?? Is it a must?? I have not, but I’m sure it would be fine if you are out. How long do they have to be in the fridge for to set up ? Not long. 45 mins or so? 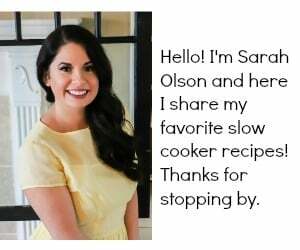 Can you double or triple the recipe or would you need to alter the amount of time in the slow cooker? You may have to cook a bit longer, that’s the only thing I would do. Have you tried adding caramel to this recipe? If so, how did you do it? If not, do you have any recommendations?